This is the Climate Change Committee Report (CCC - 2016). It lists Government's Department of Business, Environment and Industrial Strategy (BEIS) as among its supporters. The CCC Report refers to & uses the table in the IPCC Synthesis report AR5. 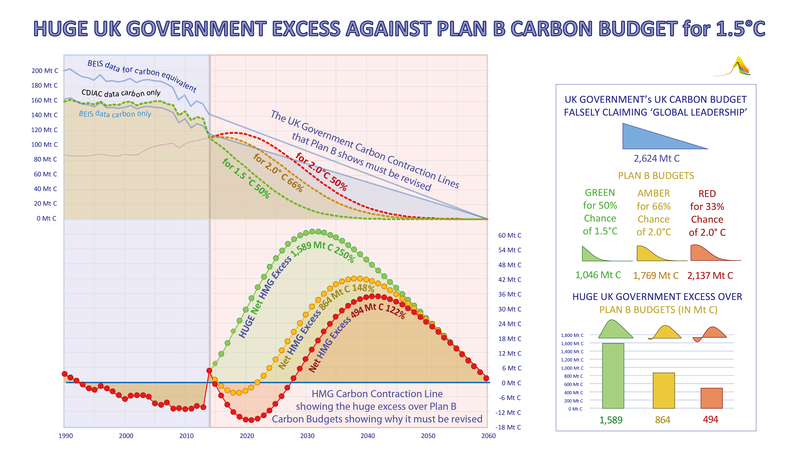 Plan B is the plaintiff in this application for a Judicial Review of the the Government's inadequate carbon target. Why is there a conflict here? The CCC refers only the 'simple models' content of the table, as with some gerrymandering it implies a justification of government's refusal to revise the UK 'target' in the UK Climate Act (2007/8). Plan B refers to the RCP content of the table. RCPs were the basis of the IPCC 5th Asessment Report (AR5). In the light of Paris Agreement, RCP figures in this table do not support HMG's existing target. Ignoring the RCPs, the CCC, BEIS & HMG select only the 'Simple Models'. Why? The 'Representative Concentration Pathways' - or the 'RCP' scenarios - were specially created for the IPCC AR5. They dominated the entirety of policy-relevant output in IPCC AR5. These RCPs replaced all the 'Special Report Emissions Scenarios' - or the 'SRES' scenarios - which had been used in all previous IPCC Reports (1994-2007). RCP numbers for 1.5° C & 2.0° C are shown in table 2.2 (above). IPCC AR5 was not based on 'simple models' & the 'no data' shown. However, the Climate Change Committee completely ignores the RCP content of the table and uses the 'simple model' arrays instead. Is this because it sets out more up to date targets and more precise odds that do not support HMG's inadequate target? The full set of RCP spreadsheets (2.5, 4.5, 6.0 & 8.5) were first distributed in May 2010, all excepting for RCP 1.5°. Why? the spreadsheets for which seem to be untraceable. Again, why? Preparations began in 2010 for the AR5 (2015). Was the shared assumption at that moment that 2.0° C would be the lowest, so 1.5° C was not relevant? If so, yet again, why? Was it because that, "efforts to limit the temperature increase to 1.5° C," would end up as Article 2.1a of the 'Paris Climate Agreement' in 2015, was not even contemplated in 2010? Whatever the answer, a 'Climate Change Risk Assessment' by Sir David King et al (2015) leading an international group from the UK Foreign & Commonwealth Office (FCO) certainly did foresee this. Considering that the 1.5° C target did end up in the Paris Agreement largely due to this remarakbale effort, it is little rich for the UK Climate Change Committee to simply ignore all this. However, the Climate Change Committee quotes 'simple model' numbers for 1.5° C & 2.0° C from the table 2.2 in the IPCC AR5 Synthesis Report. This is falsification of the data. The source-claim (IPCC AR5 Synthesis Report) in the CCC table needs to be read with extreme caution. invents 66% odds for 2.0° C that don't change for a range of budgets that goes from 590 Gt CO2 (160 Gt C) all the way to 1,240 Gt CO2 (338 Gt C). It cannot conceivably be a 'coincidence' that from 2015, 338 Gt C (1,240 Gt CO2) is all that remains of the carbon budget, as defined in the UK Climate Act of 2008! Then, whether 'simple' or not, spreading the same 66% odds for 2°C over that huge time-weight-range of carbon budgets is statistical nonsense. It was the CCC (not the IPCC) that highlighted the 338 Gt C (1,240 Gt CO2) which equals the UKCA carbon budget. The IPCC 'simple model' figures simply had a range that merely included that figure. It was the CCC (not the IPCC) that assigned it a 66% probability for 2.0° C. The IPCC 'simple model' range covers that 1,240 Gt CO2 figure, but with a 'probability' figure at 50% and not 66%. Why was this being done? Albeit feedback-free, the RCPs were specially created for AR5 & *not 'simple models'*. For better or worse, the RCPs dominated the 6-year preparation & final output of IPCC AR5. 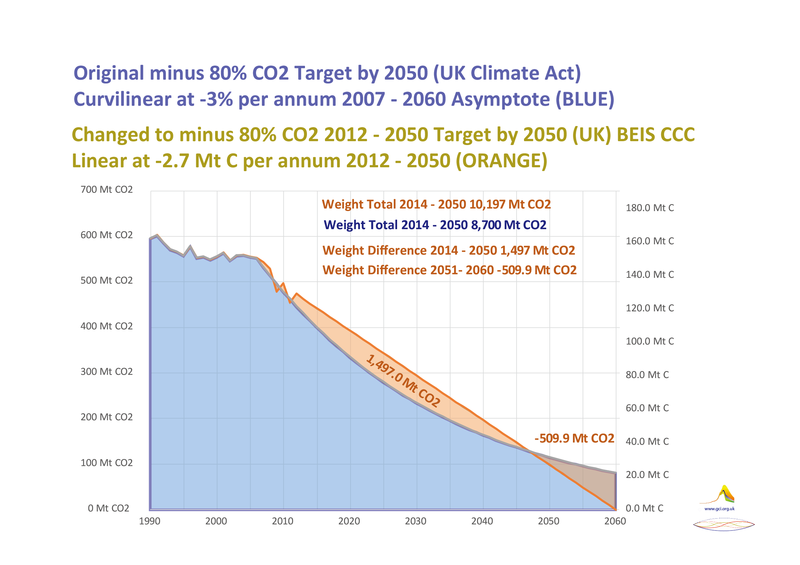 Now all that was discarded by the CCC, in favour of this absurdly constant 66% probability for 2.0° C for all carbon-budgets ranging up to the original carbon budget limit in the UKCA of 2008! These points may seem arcance & even trivial. However, that's not the issue here. 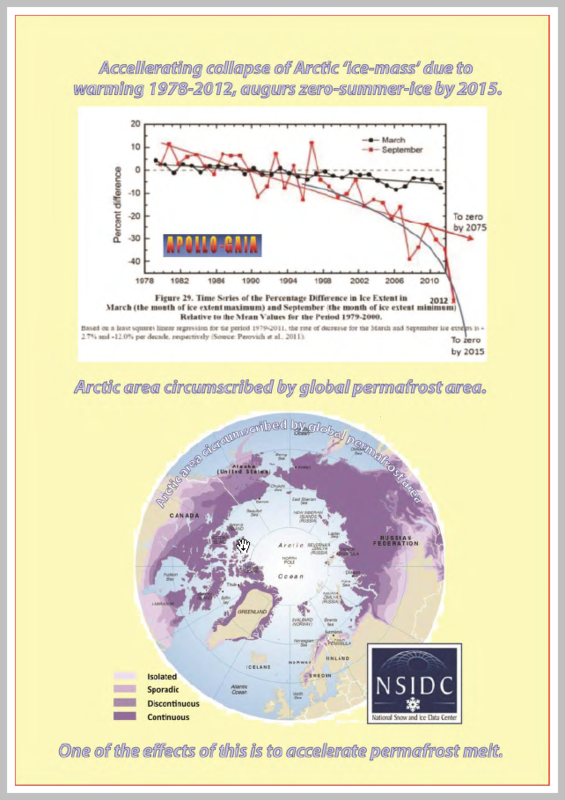 inventing data falsely claiming to quote the IPCC AR5 Synthesis Report. 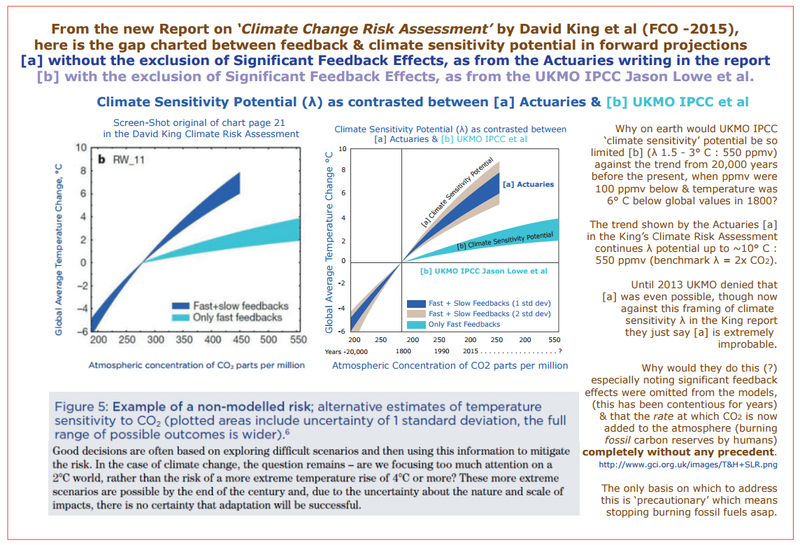 whether this alignment with the carbon budget in the UKCA was in fact not an accident/coincidence, so much as a carefully crafted response by unseen actors to cover the eventuality of this challenge. Was it a mission by unnamed operators to align IPCC & CCC with the UKCA. Did it involve the UKMO, the orginal generators of the carbon budget in the UKCA in 2007/8? Moreover, this delightfully ludicrous idea from the CCC/UKMO(?) *presumably unintentionally* . . .
Julia Slingo UKMO in the EAC Enquiry into ‘Targets in the UK Climate Act 2013 - Where did they come from? Were the models upon which they were based valid’? “we have probably contributed more model simulations than virtually any other group in the world, so we take the IPCC process very seriously.” (2013). Detail here. However, the UKMO certainly generated the climate policy modelling that led to the carbon 'contraction & convergence' methodology being at the the UK Climate Act of 2008. 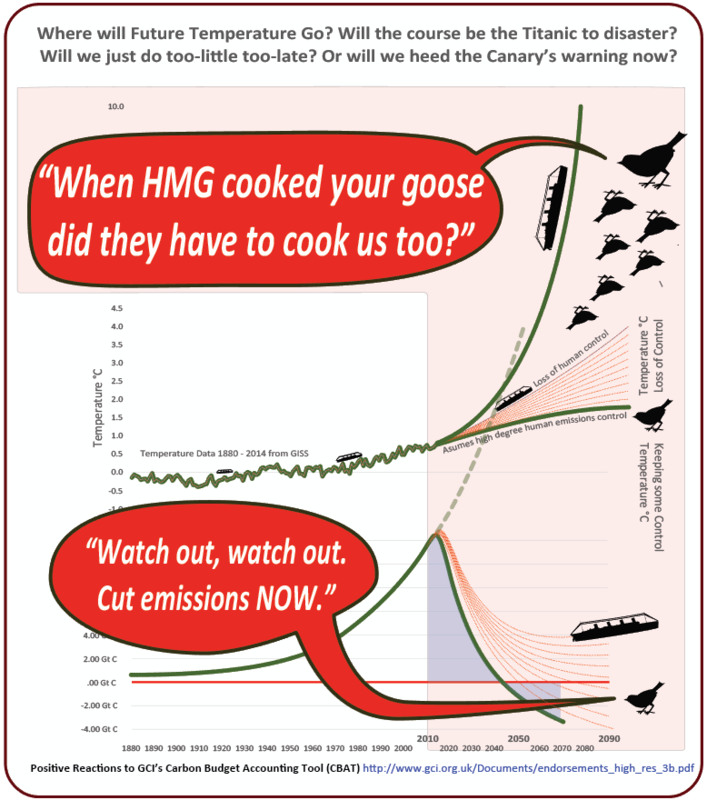 Martin Caton of the EAC asked Julia Slingo: - “Aubrey Meyer said that the Met Office claimed to include all feedback effects in its projections on global emissions when it had not. Would you like to respond to that assertion?" I actually hadn't said that. I had simply pointed out that the UKMO had said it on their website. As evidence is given to Parliament under Oath, this was complete perjury. In 2013 at a critical stage of preparing IPCC AR5, the UKMO wilfully misled the Government, Parliament & the IPCC. Evidence in 2019 suggests these feedbacks are already measurably in play and potentially at rates which we can no longer control. We are already paying a heavy price for this. In any normal world UKMO would be prosecuted as their denial was critical disinformation. on one side & with the out-dated UKCA target on the other, can be construed as a deliberate inside effort to provide cover for the UK Government's continued refusal to revise and make its reduction schedule consistent with Paris Agreement. It is not impossible that the CCC knew about the Judicial Review in early 2016 as that is when its preparation was begun. The CCC published its report only in October 2016.
figures being used? Could it have been because the highest number (338 Gt C) is equal to what is left of the carbon budget in the UK Climate Act (2008) on which the 80% cut by 2050 was based? Moreover, technical work underpinning the UK Climate Act itself (2008), gave only 46% (not 66% or even 50%) odds of keeping within 2.0° C and these were for just the high-end 338 Gt C budget. These odds were certainly not given for any - let alone all - of the other carbon-budgets in this wide range of smaller budgets, more than halving the weight, all the way down to 160 Gt C.
to claim what it is doing is 'global climate leadership', when it is anything but. At present the Government is being warned by the Climate change Committee about failing to achieve even its inadequate target. since the upper limit of the range (338 Gt C) is consistent with the existing target for the UK - as per the UK Climate Act with its target/timetable structure - the target they refuse to change. Minus 80% for the UK by 2050 is the target that government is determined 'vigorously' to defend simply emphasizing, 'it is achievable'. But since 2008, the science has changed, the situation has become more urgent, more & more people are dying right now directly due to the accelerating rates of climate change & we all know that this UK commitment provides a global example of cutting too little too late. In choosing to quote these 'simple models' and this statistical nonsense, the CCC dutifully manufactures support for the government's defence of its existing inadequate target. Taken together, all these points constitute grounds for asking whether there has actually been serious political interference with this entire process. In other words what it takes to play a global leadership role in putting out that fire.